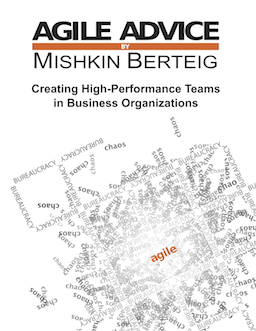 Berteig Consulting is thrilled to announce the early release of the OpenAgile Primer, version 1.0, now available for download at http://www.openagile.com/TheOpenAgilePrimer. This release falls 2 weeks ahead of the scheduled release date of 1 December 2009 thanks in large part to the implementation of OpenAgile itself in the creation of the document. The Primer is intended as an introduction to the methodology of OpenAgile as well as required reading for the soon-to-be released OpenAgile Readiness Knowledge Test. Successful completion by individuals of the Readiness Test will result in the award of an OpenAgile Readiness Certificate—the prerequisite for OpenAgile Team Member Certification. The team wishes to thank all those who have generously contributed to the realization of the first version of the Primer and looks forward to collaborating with many more of you in the future. OpenAgile public course listings have already been posted on the Berteig Consulting website: http://www.berteigconsulting.com. We also warmly invite you to become involved in the OpenAgile Community through the OpenAgile Wiki:Community Portal. We will keep you posted as the work progresses. To learn more about OpenAgile, please visit us at http://www.openagile.com.